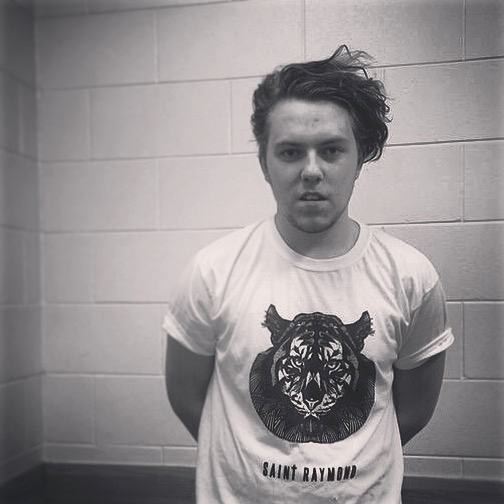 Say hello to Saint Raymond, a 19 year old musician and loyal friend of The BearHug Co, following in the footsteps of fellow Notts dweller Jake Bugg. Saint Raymond is of course a stage name for the up and coming artist whose real name is the rather more ordinary Callum Burrows. Having said he is following in Bugg’s footsteps, we must clarify that this is only in regards to his quick rise to fame at the same youthful age. Raymond has carved out his own unique sound that forms a hybrid between up-beat indie such as the likes of Vampire Weekend and laid back vibes reminiscent of The Kooks. Frankly, Raymond’s uplifting style forms a much-needed antidote to the extremes of fast pace pop and energetic rock largely dominating the charts at the moment. This may be the reason Raymond has shot to fame so suddenly. 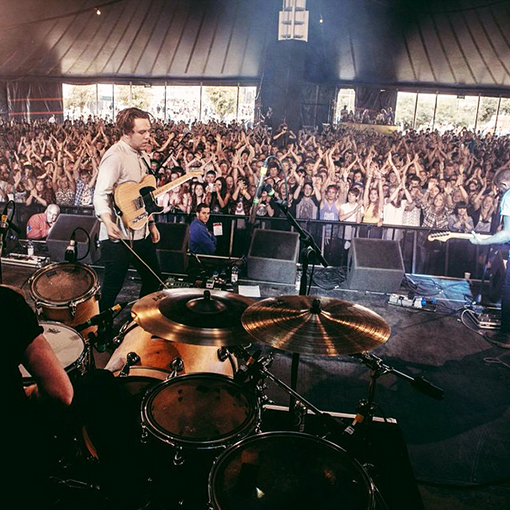 His rise began in 2013 when he was chosen to headline the BBC Introducing Stage at the infamous Reading and Leeds festivals. Following his festival success, Raymond went on his own headline tour and has since supported three piece pop/rock band, Haim in their sell-out UK and European tour, and in doing so, managed to win over the girl band’s own, uniquely wide-ranging, demographic. At the beginning of the year, this success culminated in one of his records, ‘Young Blood’, gaining the highly credited title of Zane Lowe’s ‘Hottest Record in the World’ and subsequently reaching number 3 in the charts. A bloody good success for a teenager who only two years previous was aiming to become a hairdresser. 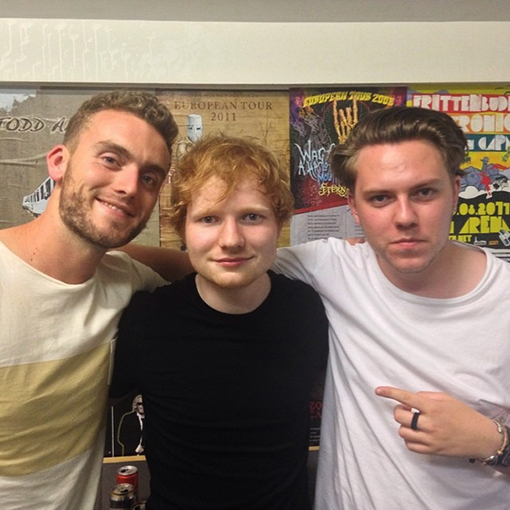 In April Saint Raymond announced that he was once again joining a chart-topping artist on their sell-out tour, this time it is our favourite ginger singer, Ed Sheeran. 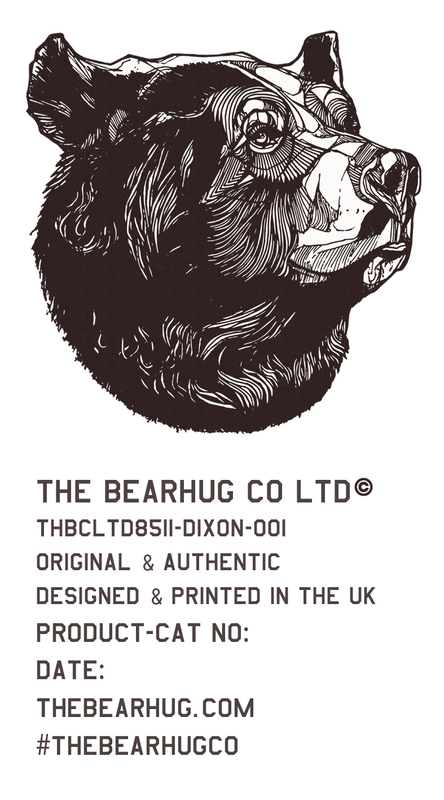 Being a friend of The BearHug Co, Raymond asked Luke if he could design the merchandise – so look out for this pretty cool SR tee!